I just love the colors of this card and grateful to Jenn from Crafty Card Gallery for having me. Until next time….. I chose to do a halloween themed card. 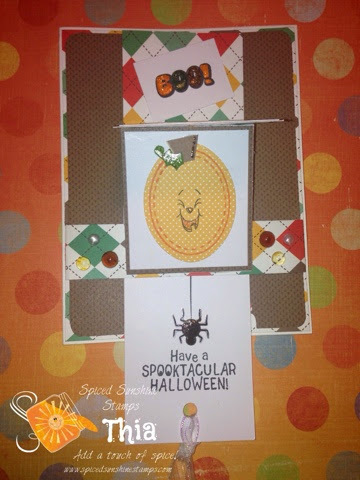 Check out my Spook-tacular mixed media card. It’s fun and easy to make. Any questions or comments, just ask. Hi All! It’s been a while since I’ve posted… sorry for neglecting you! Today I have a quick card for Boss’s day…. It’s a Bo Bunny kit – I love their paper so much that I don’t feel bad making quick kit cards… because they look fabulous! And this card has pink in it, which is my current toenail polish color (challenge for us)…. I will be updating the Crafty Card Gallery App soon – if you would like to submit cards to the app, you can email them to me at craftycardgallery at gmail dot com. I’d love to see your creations! Hi Crafty Card Gallery Friends! 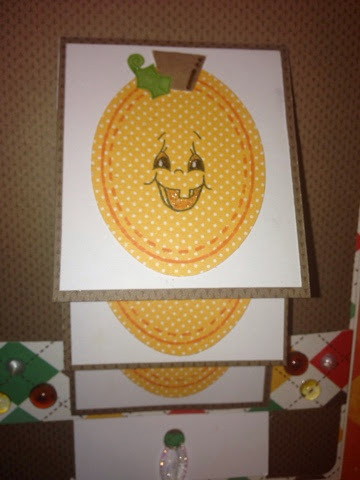 Thia here from Blue Moon Creation Crafting Station with my first WATERFALL card featuring pumpkins! Funny thing is, the stamps I used to create these pumpkins came from 4 different stamp sets! When I heard we were to create something with pumpkins, I wanted to be creative with mine but didn’t know how. Then as I was looking through other pumpkin cards, I thought of what I wanted to do! (I was seriously at a no mojo moment too, when this idea hit me!) 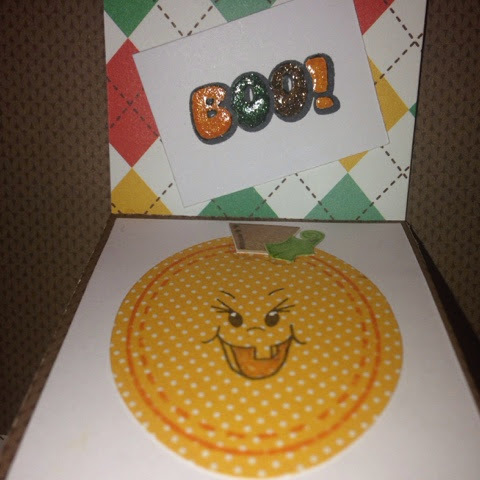 I had the perfect stamps to create unique jack-O-lanterns at my fingertips! Using an oval stamp set, I stamped my ovals onto punched ovals. Then stamped a cute Peachy Keen Pumpkin Face. The stem is the trunk of a Christmas tree, and the leaves are holly leaves. Creative, don’t you agree?